Home » Blog » Why are Moving Company Reviews Important? 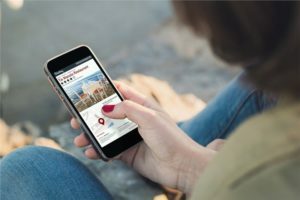 Why are Moving Company Reviews Important? If you’re like most people, you look to review websites when you’re trying to find the best of something. Whether it’s a new sushi restaurant near your home, a plumber or home repairman, or a moving company, reviews tell you a lot about a business and what to look out for. When you’re looking for local movers, these reviews can be the difference between hiring a company that does a great job and hiring a company that leaves you frazzled and stressed out. Moving company reviews can tell you whether a company is reliable or not–whether you can expect them to show up on time and get the job done in a timely manner, for instance. But reviews can also tell you whether a company is being truthful about their claims about customer service, longevity and more. For instance, if a company claims to have been around for decades, but only has a few reviews, it might be worth looking into how long they have been in business and, perhaps more importantly, why no one has contributed any information about the company to review sites. When you read reviews about moving companies, there are a few things you should look for to make sure that you’re choosing the best ones. Many people search “movers near me” when they start their search, and in their results, they will look for a few things to be consistent. If you’re not sure about how to choose the best movers, look for these three things in moving company reviews. Reviews should be generally positive. If there seem to be varied responses about people’s experiences with a company, that can be an indication that the company provides inconsistent service. When you’re moving, you can’t afford that kind of gamble. Make sure that the companies you’re looking at have a good track record of generally positive reviews, and that negative complaints have been addressed. When companies address complaints, that means they’re invested in their reputation and dedicated to righting any wrongs. Whether you’re looking for a local or long distance moving company, you’ll want to find one that has a significant number of reviews. This not only reinforces a claim of longevity, but it means that people have been getting the same great service over a long period of time. Sometimes, companies start out strong but later start slacking a bit, and customer satisfaction slips. If a company only has a few reviews, that can mean that most people were satisfied (it tends to be true that people are more likely to leave reviews if they are upset with the service they received), but it can also mean that the company has been controlling what gets published about their business by way of deleting reviews or otherwise altering them. Few reviews can also mean they haven’t had much business and aren’t as experienced of movers as you need. Finally, look for trends that show increasingly high levels of customer satisfaction. A negative review here and there shouldn’t be a deal breaker, but evidence that the company has learned from mistakes and become better local movers over time is a good thing to see. When you need the best local moving company or long distance moving company, Federal Companies can help. Call us today for more information about our services or fill out our online form to request a quote for moving services now!